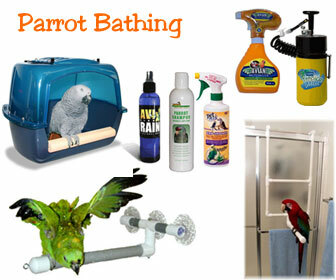 See OVER 120 different products for bathing pet birds, including parrot shower perch stands, small pet bird bath tubs, parrot mister bottles, feather sprays and bird shampoos. 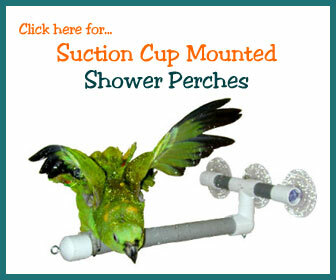 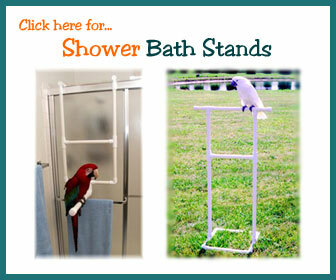 You'll also find a variety of suction cup mounted bird perches for use in the shower or for use on mirrors and windows. 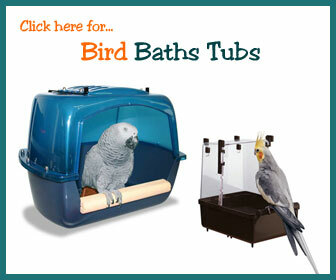 Just click on one of the bird bathing category you’d like to see. 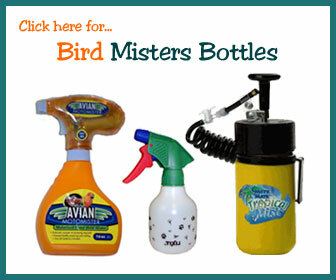 There are numerous items available on the web, but these are some of the most common.